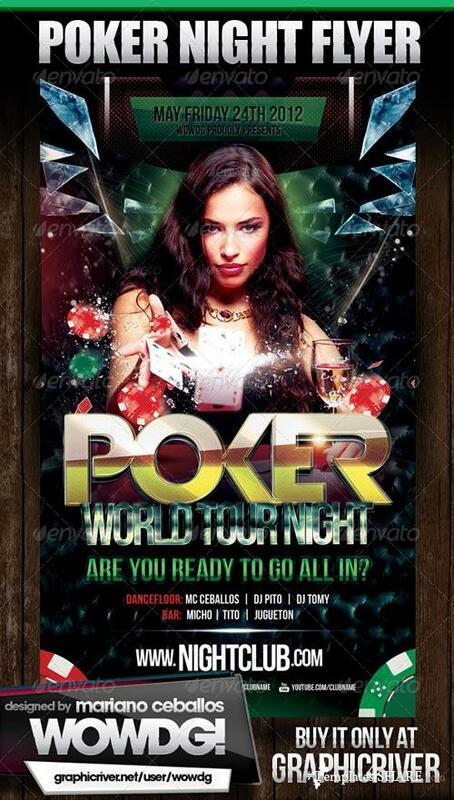 Hope you enjoy this Poker Nights Party Flyer! 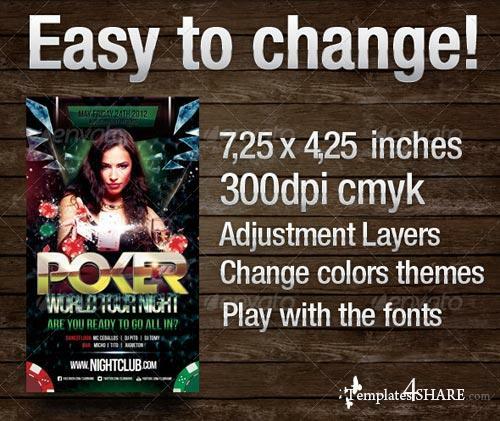 You can easily change all in this design: color, fonts and pictures. PSD file all layered 300dpi, CMYK print ready!